Did you plan start a food kiosk in mall ? are you looking for good supplier ? if you don’t have any ideas , maybe the below information can help you alot . First, a good design can make your ice cream business more and more better. Second, a high quality kiosk is very important for your store. 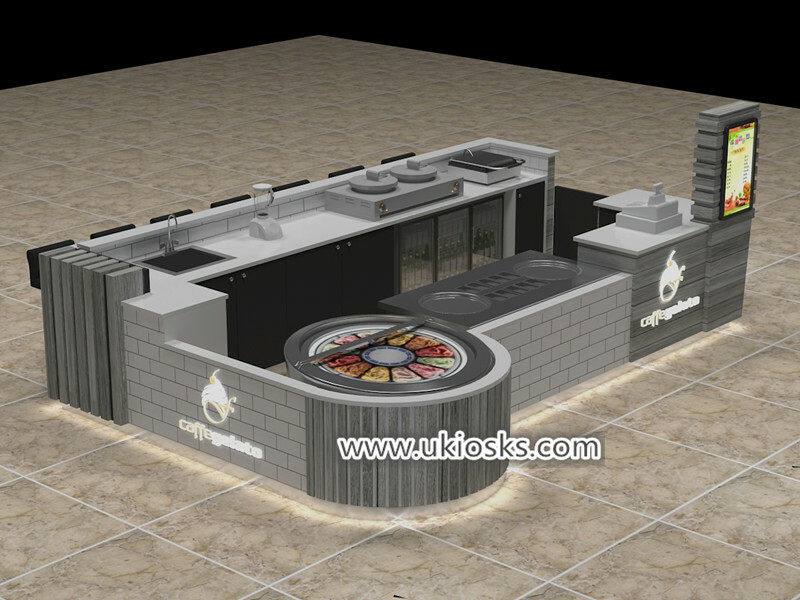 Third, you need looking a good factory production this food kiosk. 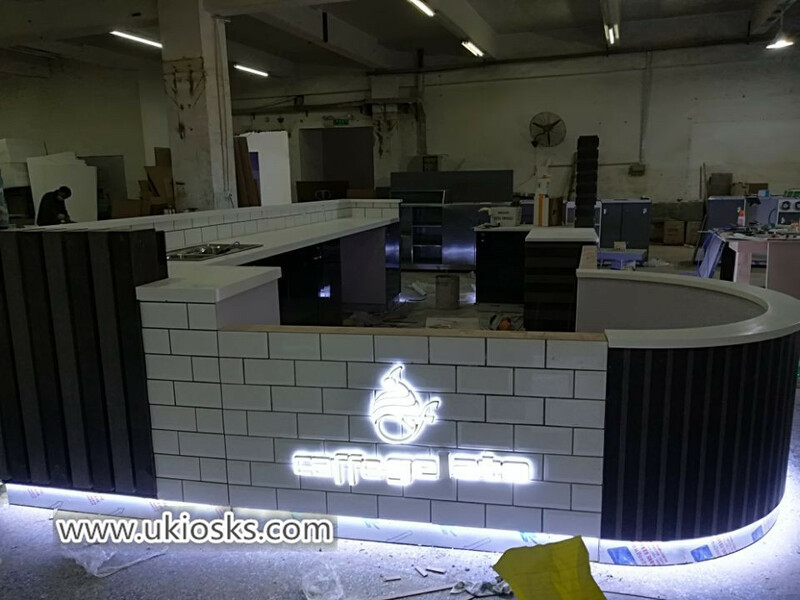 The below is one Creative fried ice cream kiosk we have done for our UK client , using very simplicity tone match , There is no fancy ornament. but looks very nice , you will fall in love when you see it . 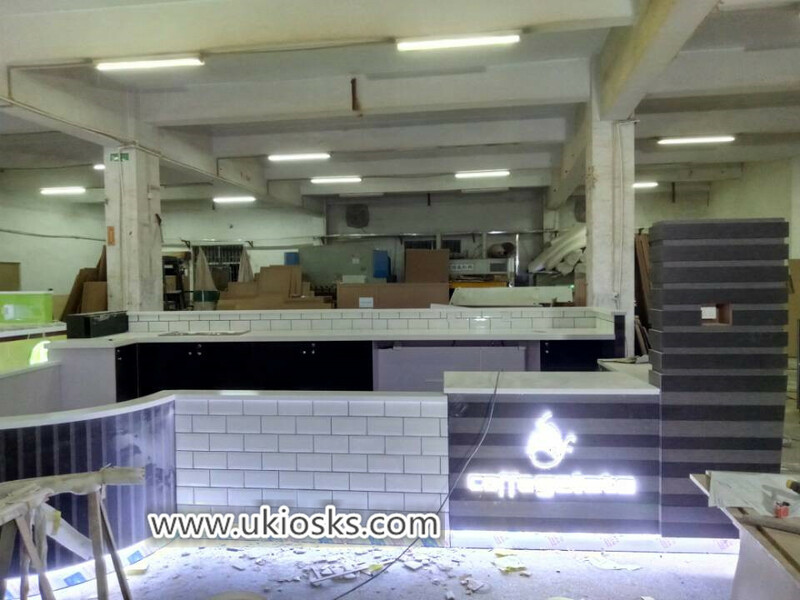 whole kiosk is about 5m length by 3m width , basic material is E1 plywood, surface is white tile and grey solid wood plate decoration , inside cabinet is black laminate . 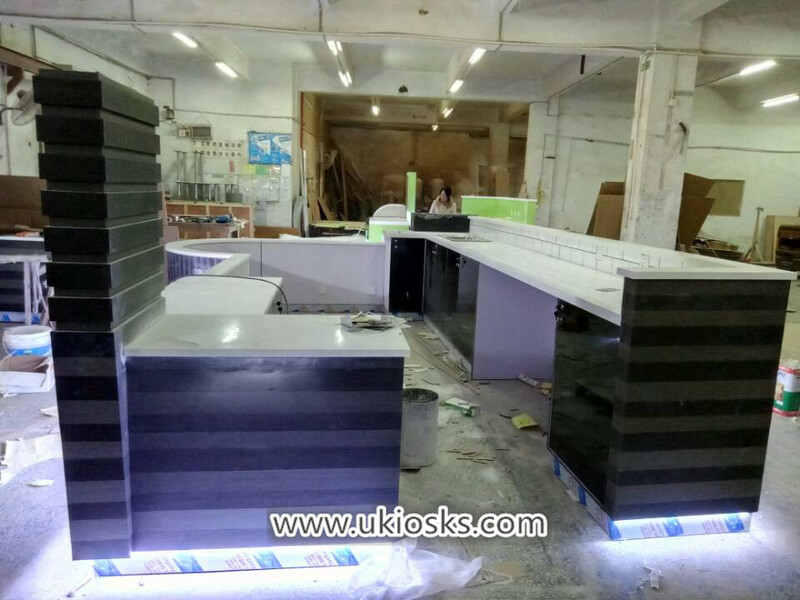 worktop using high grade chinese corian . is a good choise and easy clean and strong . 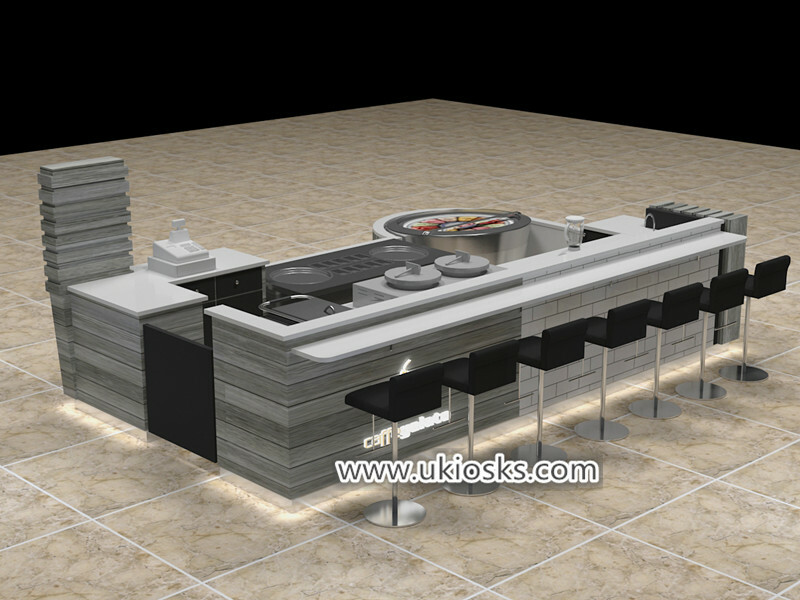 Whole kiosk layout is very simply , front part mainly for fried ice cream making and selling . 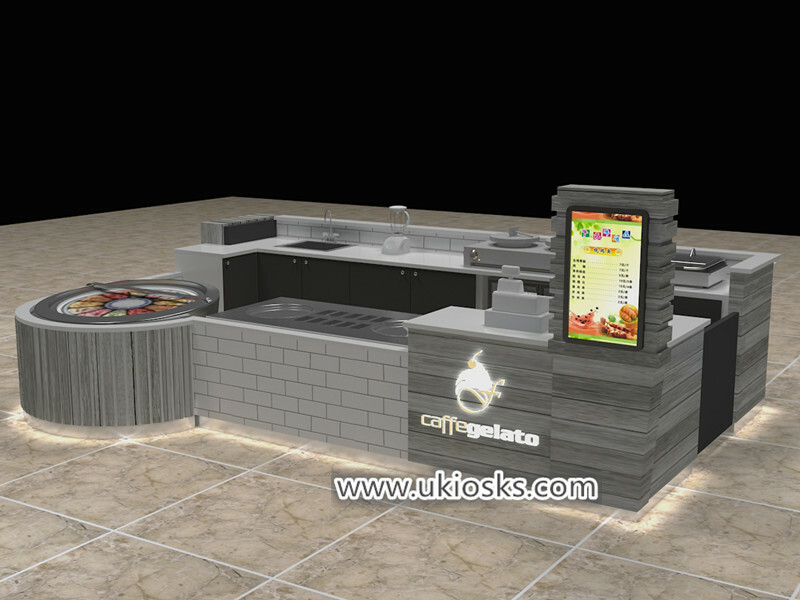 with two frice cream machine and stainless steel topping , a ice cream showcase machine , On the far right is a receiving area ,with a TV menu showing , The back sides of this kiosk is wooden counter , with a single sink , a juice machine a double tray crepe machine , a waffle machine , under counter with a three door drinks fridge showcase . There is more real production photos showing . 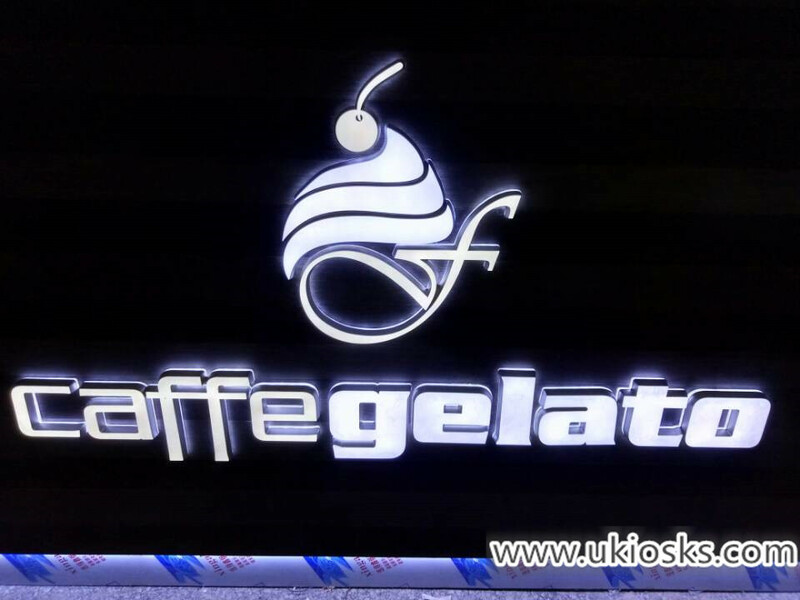 Thanks for your time and reading , if you want to know more further info about this fried ice cream kiosk, pls feel free to contact us , thank you !